I Think My Son’s A Looper! You are here: Home / Family / I Think My Son’s A Looper! The movie Looper came out this weekend which is basically a movie where a guy (a “looper”) who travels back in time and interacts with his younger self. 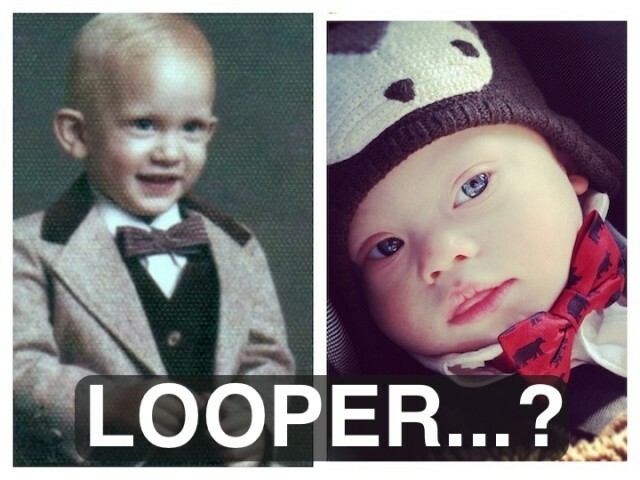 Today as I was looking through some pictures of myself as a baby I realized somethingâ€¦I think my son might be a Looper! I mean just look at the pictures, don’t we look a lot like? I mean like A. LOT. ALIKE. LIKE LOOPER ALIKE!? The bow-tie, the expression on our face, how handsome we both are! Of course I’m just kidding…I don’t really believe my son’s a Looper. (Although there are lots of parents who wish they could travel back in time.) It’s just fun seeing all of the ways Noah resembles his mom and dad. There are some days when I think Noah looks a lot like hisbeautiful mommy, and other days when I think he looks just like me. It’s fun. But seriously can you believe we were both rocking bow ties as babies? We were so fashion forward! 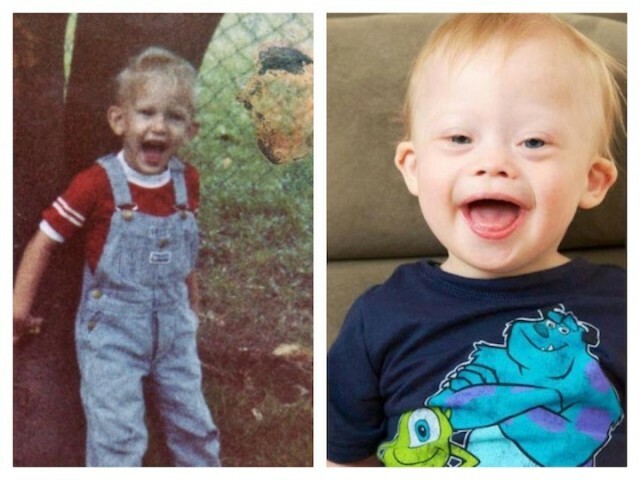 Does your child look more like his mommy or his daddy….or a little bit of both? Feel free to share some pictures in the comments below, we want to see!! !